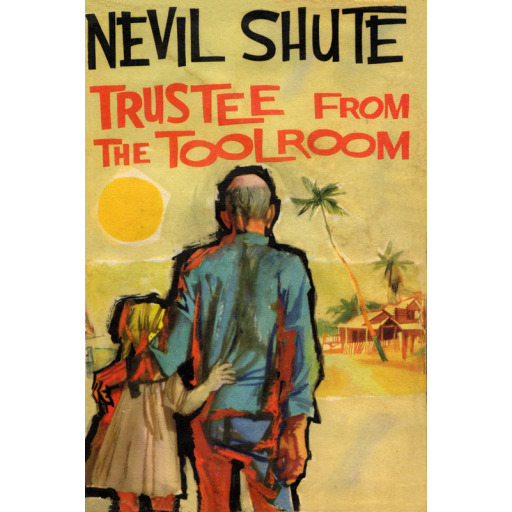 Alternate name: Nevil Shute Norway. First hardcover edition is used to give the number of pages. Keith Stewart, an unimposing, quietly content man, designs and creates working scale-model machinery and describes his creations in serial articles in a hobby magazine. He does not know that he is regarded as a great hero among his fans worldwide whose passionate hobby is to follow his detailed plans -- often with considerable unpaid assistance from him via voluminous correspondence. The heart of the story begins when he suddenly needs to act as guardian and trustee for his orphaned niece. This requires that he travel almost around the world to find her inheritance. He has no funds and almost no knowledge of the places he needs to go. But what he does have is friends all over the world eager to repay him for the pleasure he has given them and his kindness to them.The story of his travels, his relationship with his hobbyist readers, and of the success of his mission is enthralling and heartwarming. Unusually, this is a story with great tension and drama, yet no conflicts, no villains.